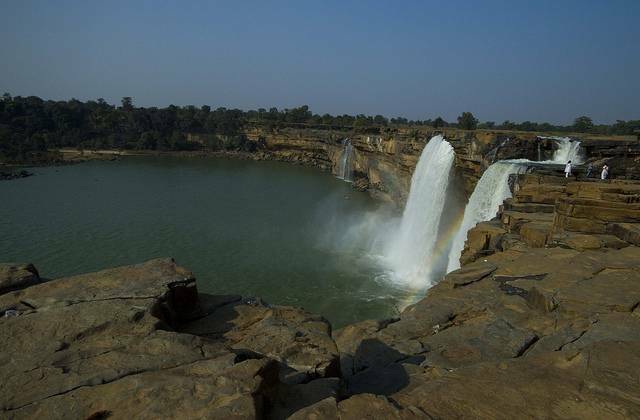 Chitrakot or Chitrakoot waterfalls, on Indravati river 40 KMs from Jagdalpur, are the largest waterfalls in Chattisgarh. The waterfalls are majestic and shaped like a horse-shoe, often compared with the Niagra Falls. They are in full form after monsoon, but be watchful of flooding during the season. Chitrakot is also a holy place of worship for Hindus and there is a seasonal fair organized every year called Chitrakot Mahotsav.